You’ve shown leadership in many areas since you were elected. 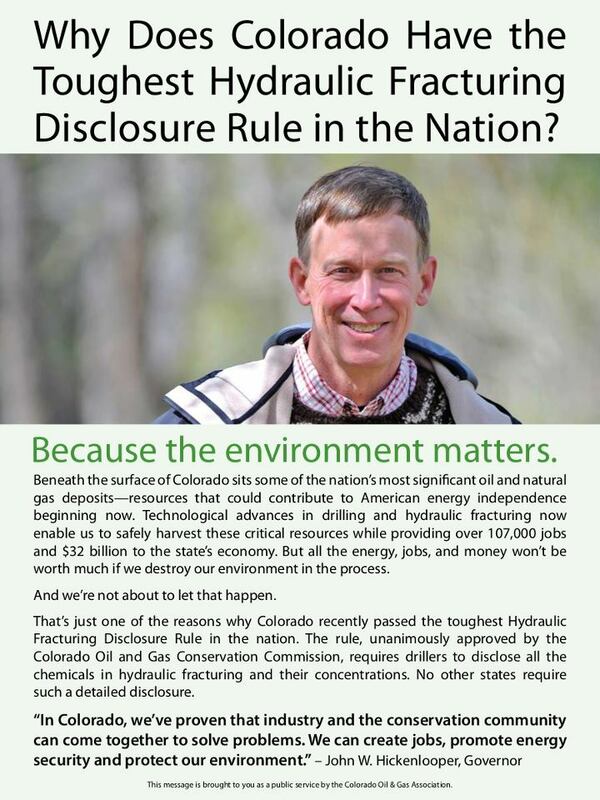 However, when the recent advertisement underwritten by Colorado Oil and Gas Association came out with your photo and “boilerplate” industry propaganda on it, I became very concerned. The toughest Disclosure Rule in the nation does nothing to protect your citizens. It trivializes the incredible harm that the industry has brought to the people of Colorado. This isn’t just about jobs. It’s about the health, safety and well-being of “The People.” You can’t put a price tag on people’s health. As a parent, how will you feel if the oil and gas industry drills a well in your backyard with only a 350 foot setback? Will VOC and methane emissions from the condensate tanks and VOC burners cause you concern for your child’s health? 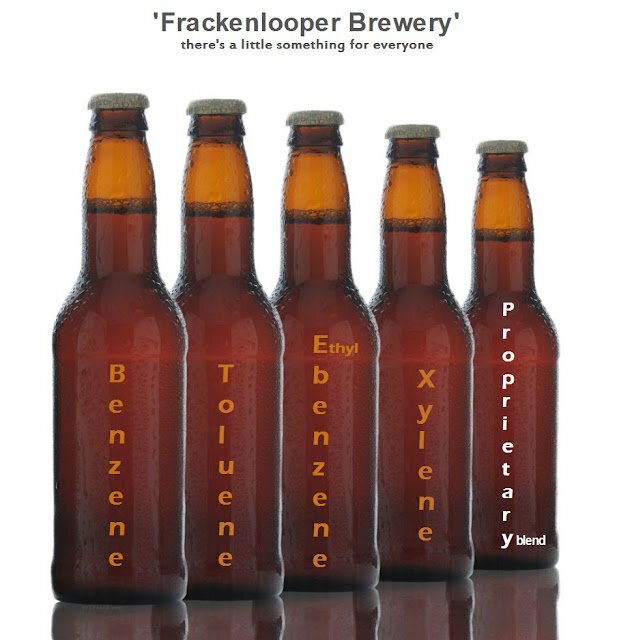 What if you and/or your family are exposed to the toxic, carcinogenic and radioactive “produced” water that has been found to be leaking but apparently not reported to the Colorado Oil and Gas Conservation Commission (COGCC)? The latest news is that you recently drank some fracking fluid and lived to tell about it. Was it the “Green” kind that supposedly doesn’t exist? (Ask Longmont City Councilmember Witt about that one – and her theory about unicorns.) How about sipping a produced water cocktail while you’re at it? I’d like to recommend that you investigate the work of Dr. Theo Colborne of the Endocrine Disruption Exchange. She is a respected scientist whose peer-reviewed work you would find interesting. Her video, “What you need to know about Natural Gas Production,” is based on scientific evidence that addresses the harm caused by exposure to toxic chemicals, nerve agents and endocrine disruptors – to people, wildlife and vegetation. She also addresses how our water becomes contaminated and is removed from the hydrologic cycle forever. “Forever” is a very powerful word when you think about how many people depend upon this water both in Colorado as well as downstream. We the people, who live in the cities and counties throughout Colorado (especially with Home Rule), know what’s best for our backyard. To not honor our rights goes against the Colorado Constitution which you are supposed to uphold as Governor.